A Country with Second Class Citizens? 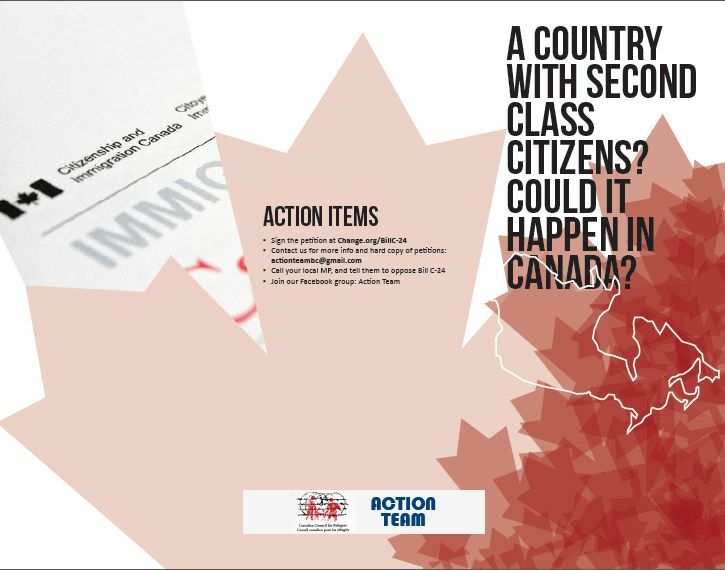 "Bill C-24 constructs myths that both generalize and discriminate against prospective citizens." This project was led by Action Team, an immigrant and refugee youth-led group in Vancouver, BC. Earlier this year, the federal government's proporsal to enact sweeping changes to the Citizenship Act sparked a desire for action within this group of youth from Vancouver. In response, Action Team created various public education resources to raise awareness about the impacts the proposed changes would have and to deconstruct the myths about newcomers that Bill-C24 perpetuates. Although the changes to the Citizenship Act have already been passed, these resources are still excellent awareness and advocacy tools. A pamphlet outlining the changes and their effects is available as an attachment below or by clicking on the image above. A video and poster will be available here soon! 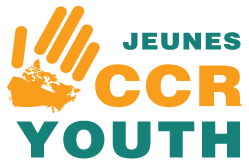 Click here for more information on citizenship changes and the CCR's advocacy.